James Allen vs Brilliant Earth: Which is Better? James Allen is a good online diamond retailer with 360 degree HD videos. How does it compare to Brilliant Earth? Read our comparison chart below. 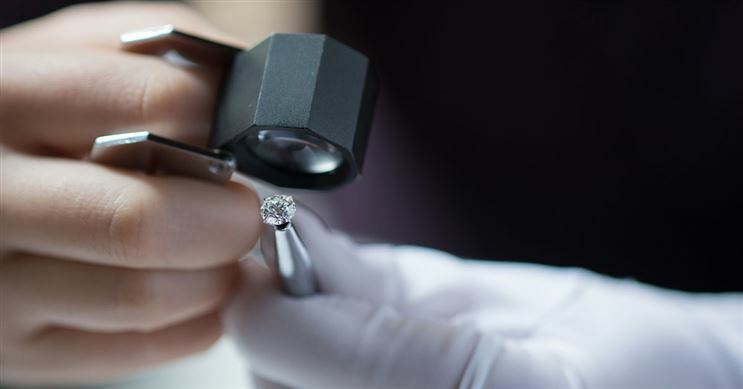 James Allen offers HD 360-degree videos of every single diamond in its inventory. It is a solid customer favorite due to its user-friendly website. While Brilliant Earth focuses on socially responsible diamond jewelry. Its philosophy goes beyond just conflict-free. All their diamonds come from mines with fair wages and safe working conditions. In addition, they also have lab created diamonds and use recycled metals. Compare James Allen with Brilliant Earth, side-by-side. Read on for an in-depth look, including ratings, reviews, pros and cons. Inventory sourced from local diamond suppliers Ethically-mined diamonds from Canada, Russia, Namibia, Botswana, and South Africa. Selection of lab-created and recycled diamonds. 24/7 customer service Monday - Sunday 7:00 am - 7:00 pm (PT) by phone or live chat. Grading report, 360-degree HD video Grading report; many diamonds have actual photo. If you are not 100% satisfied with your purchase, you may return it in its original, unworn condition within 30 days for a full refund or exchange. Free return shipping only applies to U.S customers and is limited to three per customer. 30-day free policy. Brilliant Earth provides the FedEx shipping label and free return shipping on all ring, loose diamond, and loose gemstone orders. James Allen warrant that all items will be free from any manufacturing defects at time of delivery. James Allen will repair and maintain your jewelry for a lifetime. Lifetime warranty offers free prong tightening, re-polishing, rhodium plating and cleaning services. Lifetime warranty against on all manufacturing defects. This does not apply to Brilliant Earth's collection of estate and vintage jewelry. All engagement rings and wedding bands, excluding eternity bands and alternative metals, may be resized once for free within the first year of purchase. 1 free ring resizing within 60 days of purchase for US, Canada, UK, and Australia customers. Free shipping both ways. Custom and engraved rings are subject to resize fees. Eternity rings cannot be resized. Any loose diamond purchased from James Allen can be exchanged at 100% credit for any replacement diamond of at least 2X or greater value. The diamond that is being upgraded must be in original condition and accompanied by the original laboratory grading document. Get 100% credit when you upgrade your loose diamond. New diamond must cost at least 50% more than the original diamond's value. Diamond must be in saleable condition with the original grading report. Upgrades are not available for lab-created diamonds. Which is Better: James Allen or Brilliant Earth? Still need help deciding which diamonds is better? Read the in-depth reviews below. You may also be interested in comparing James Allen or Blue Nile. In short: James Allen's selection and data are notable. Thinking about buying an engagement ring from James Allen? Read this in-depth review to find out if it's the right retailer for you. Brilliant Earth is known for their ethically-sourced diamonds. But is the price worth it? Read our full review. Moissanite vs Diamond: Which One Should You Buy? Moissanite is affordable and has incredible brilliance. Is it the right diamond alternative for you? See how it compares to a diamond. 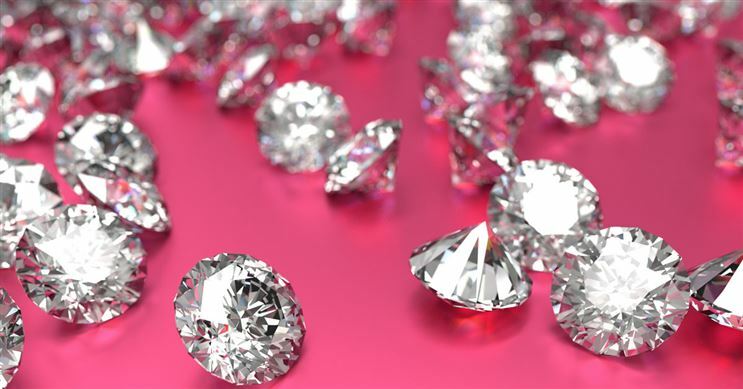 Lab Created Diamonds: Do They Really Save Money? Lab created diamonds are misunderstood. They're not cheap "fake" diamonds. Here's the truth about this man-made rock. Diamond are graded by their quality (the 4Cs). This chart helps you get up to speed on diamonds fast. Learn how to get the best value for your budget. Forget the "two months' salary" rule. Find out how much you should REALLY spend on an engagement ring here.